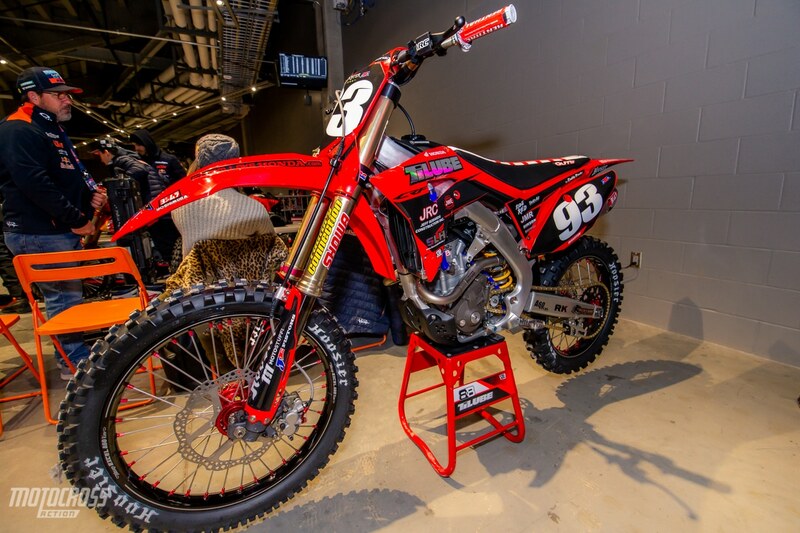 Christian Craig’s Geico Honda CRF250 getting its shoes warmed up in Minneapolis. 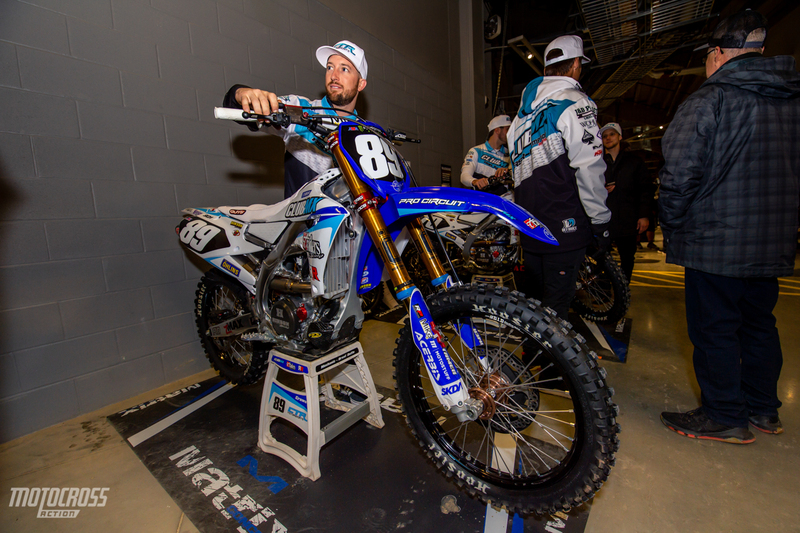 The sixth round of the 2019 Supercross series is held in Minneapolis, Minnesota inside U.S. Bank stadium. It is -5 degrees outside while inside the stadium is beach weather. All the pits are held inside on the lower levels of the stadium due to the snow and sub-zero temperatures. 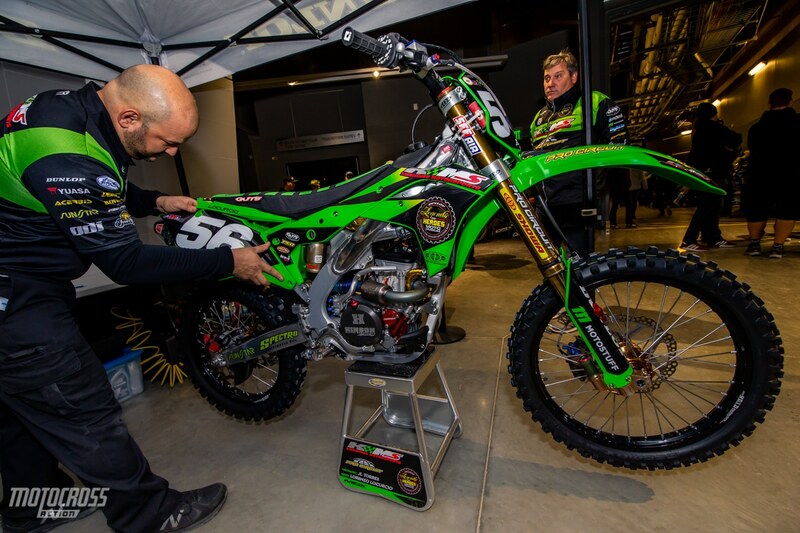 This is the first round we get to see the 250 East Coast riders with the likes of Austin Forkner, Alex Martin, Justin Cooper and Christian Craig. 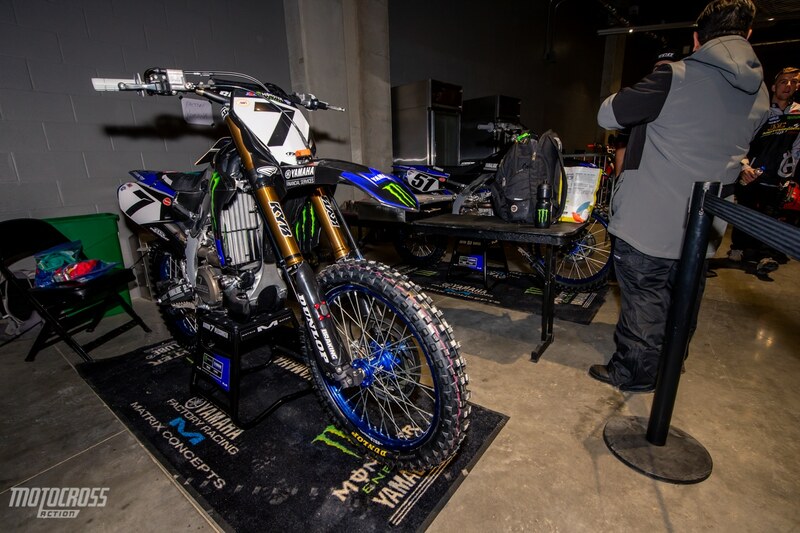 Our photographer Brian Converse worked his way through the stuffy pits to get shots of the bikes. Jayce Pennington’s ClubMX YZ250F is looking sharp. 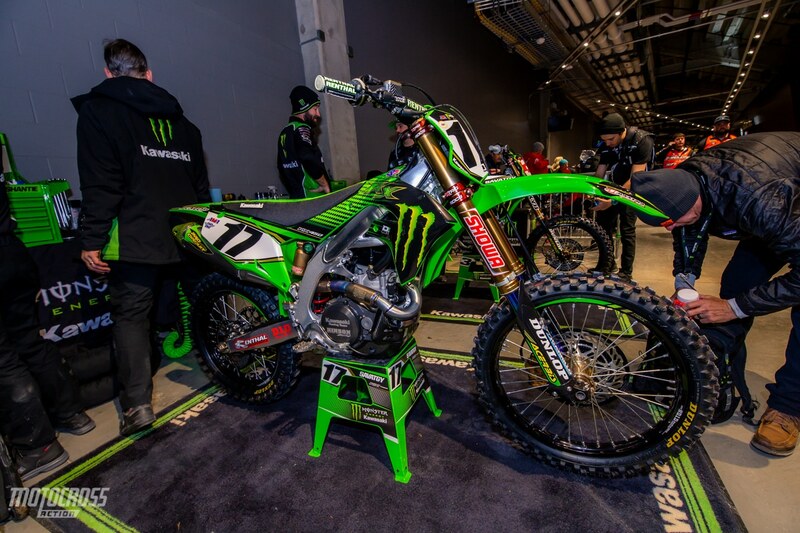 Eli Tomac’s factory Kawasaki KX450 has the red plate on it for the first time during the 2019 Supercross season. 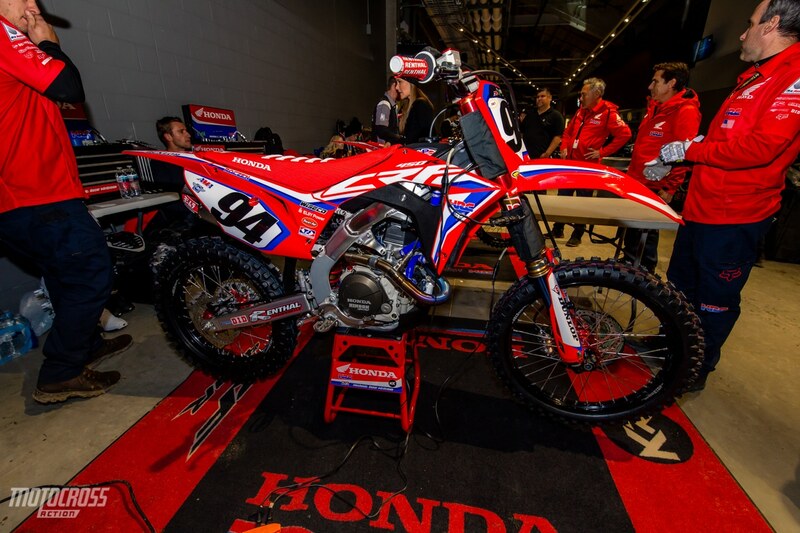 The HRC Honda team has some interesting warmers on Ken Roczen’s suspension. 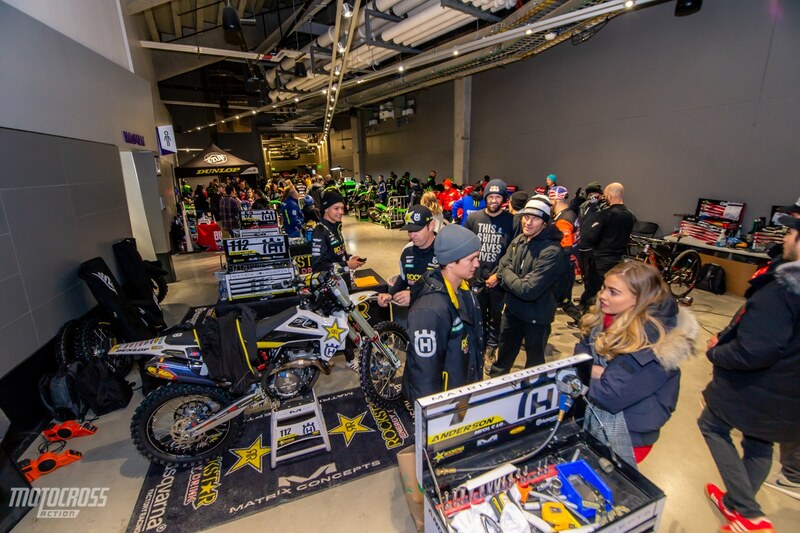 We don’t see this often in Supercross but with the temperature being -5 outside, the teams are doing everything possible to make sure the bikes aren’t affected by the extreme cold. 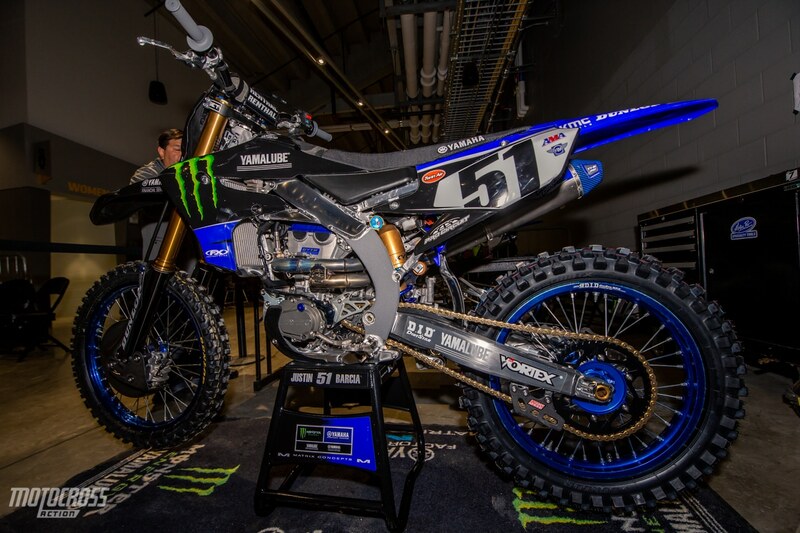 Justin Barcia had a tough race in San Diego after his factory Yamaha YZ450F had a big failure in the main event. 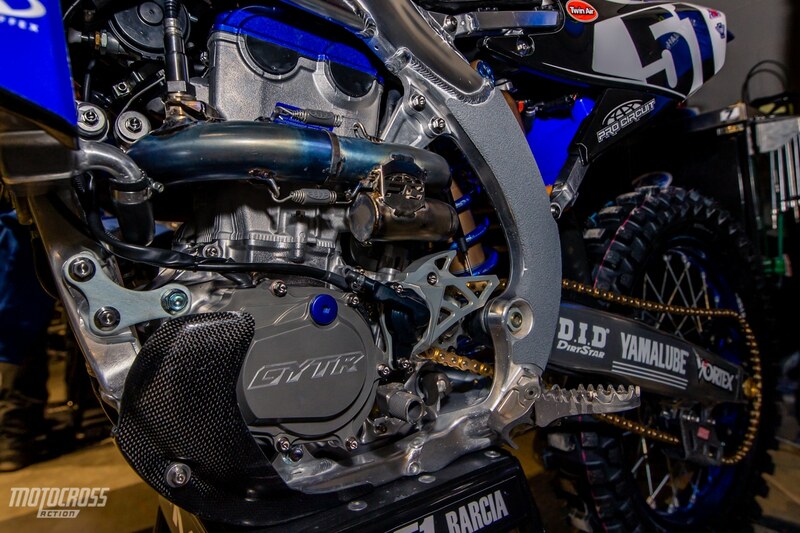 Up close on Justin Barcia’s Yamaha. 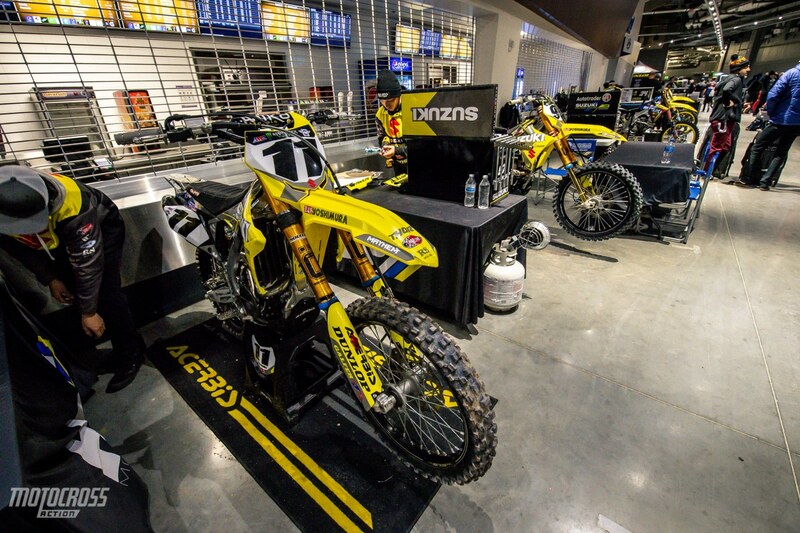 The pits are tight here in Minneapolis on the floor of the stadium. 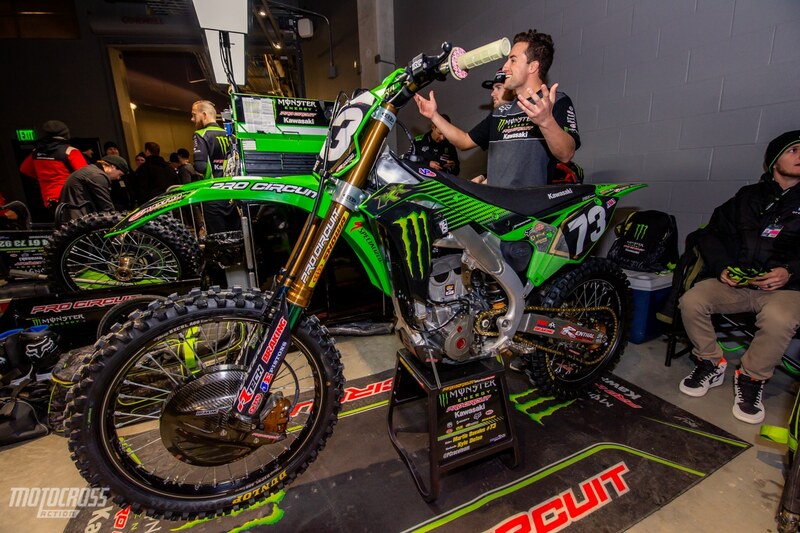 Martin Davalos’ Pro Circuit Kawasaki KX250. 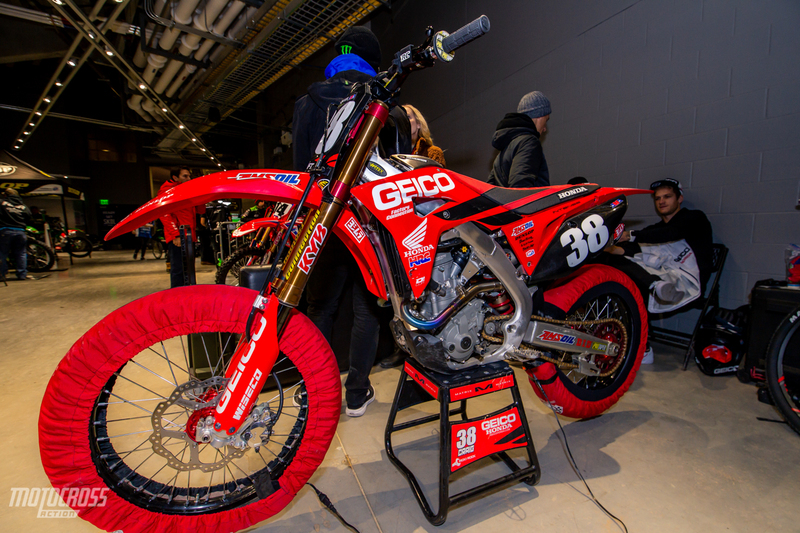 Chase Sexton’s Geico Honda CRF250 with the tire warmers on it. Remember the name Blake Warton? He’s back at it racing again. He is riding for the TiLube team. 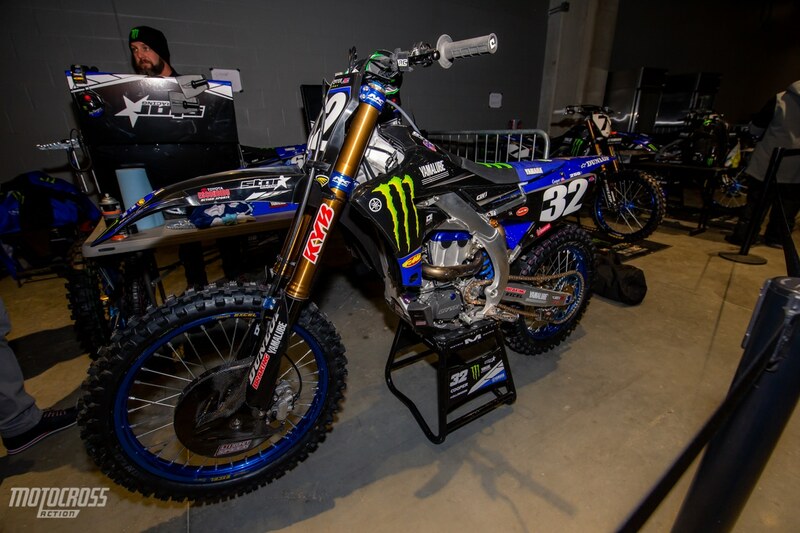 Justin Cooper’s Star Racing Yamaha YZ250F. A better look of what the pits are like inside of the U.S. Bank stadium. 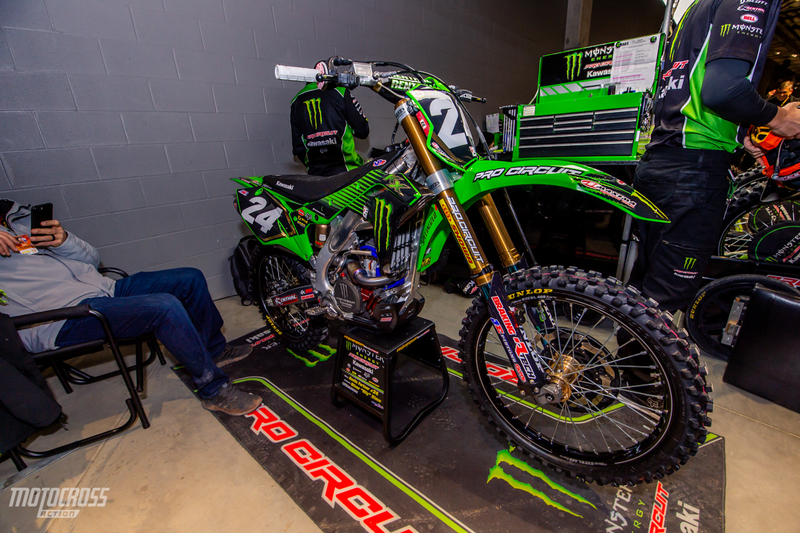 Austin Forkner’s Pro Circuit Kawasaki KX250. 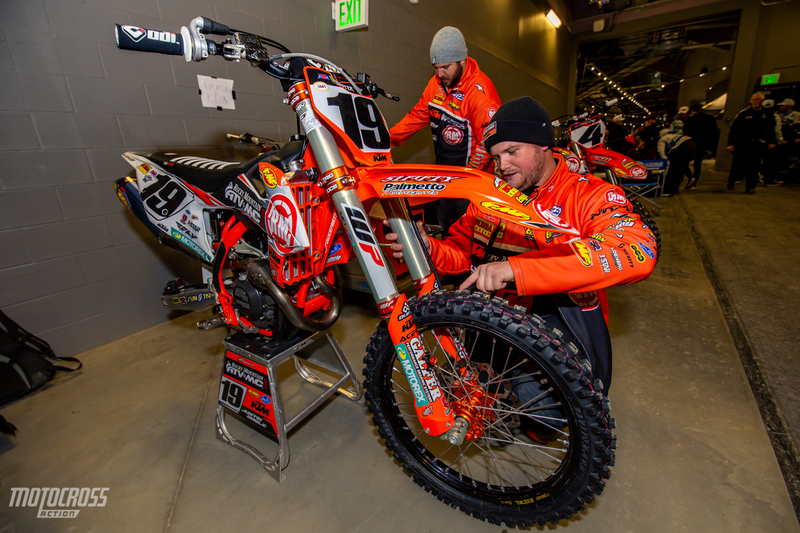 Justin Bogle’s Rocky Mountain KTM 450SXF. 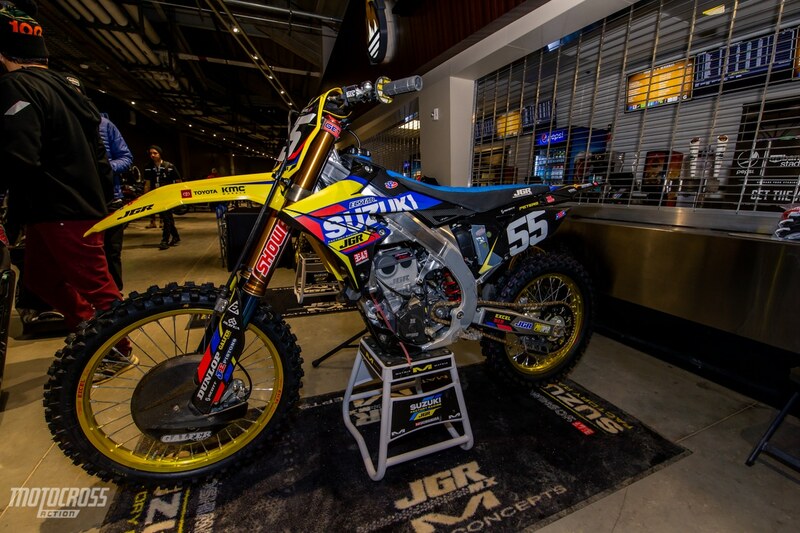 Kyle Peters JGR factory Suzuki RM-Z250. 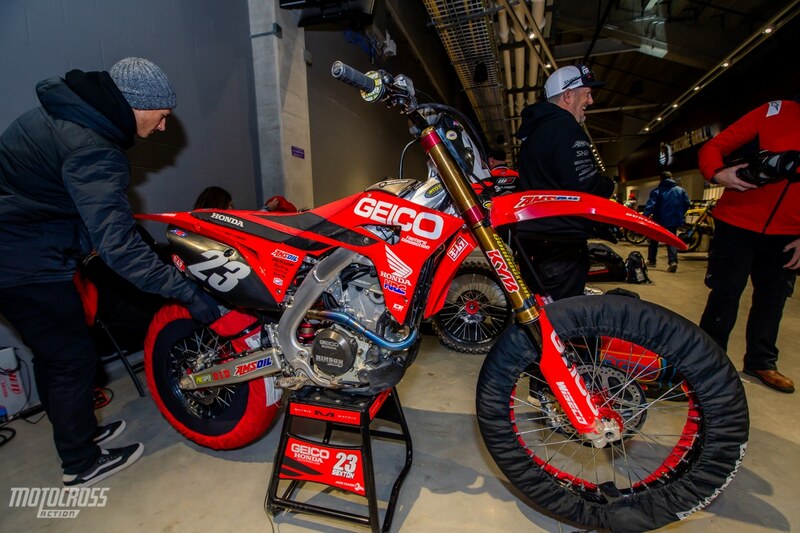 Let’s see if Chad Reed can get into the top five again this weekend. 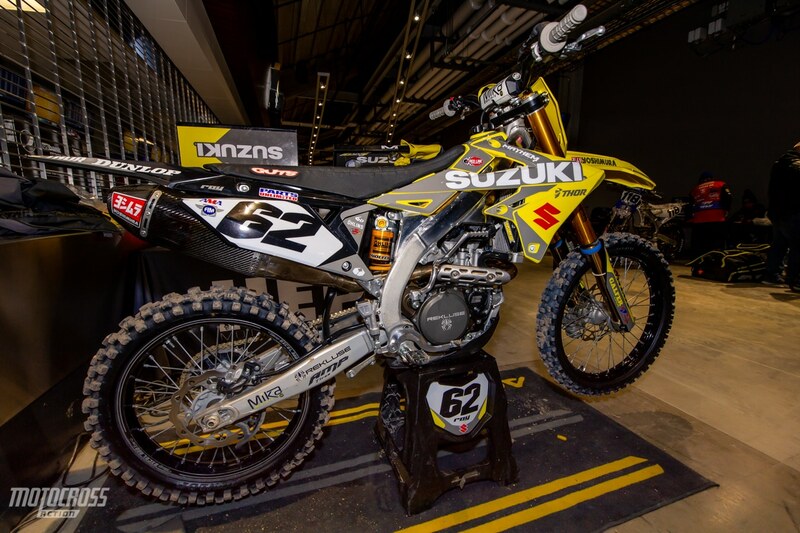 The JGR Suzuki team added some foam to the foot peg and rear brake on Chad Reed’s Suzuki. Usually you’ll only see this type of stuff at a mud race. 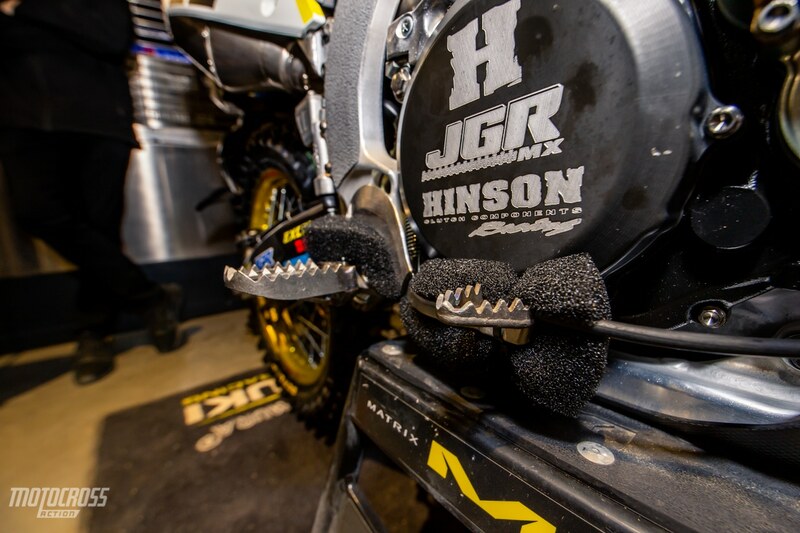 The JGR team is probably anticipating deep ruts and they don’t want dirt to get packed into the foot peg and rear brake area. 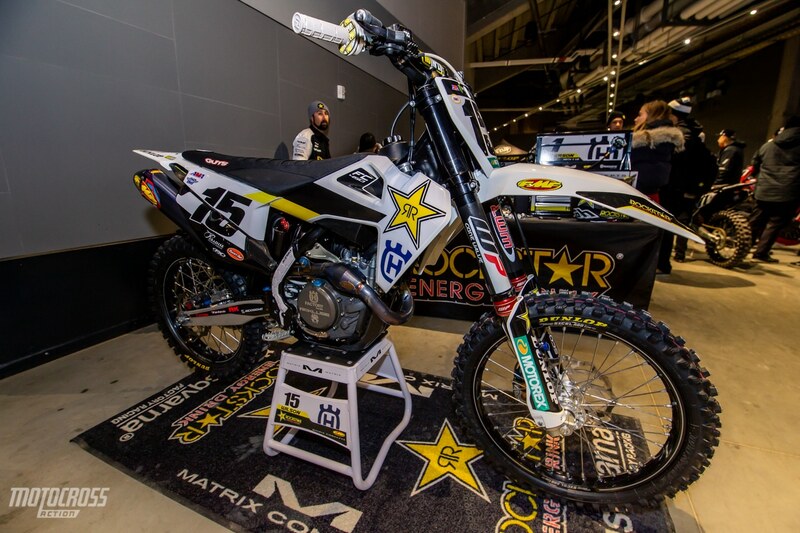 Dean Wilson is back with the factory Rockstar Husqvarna team for the remainder of the 2019 Supercross season. 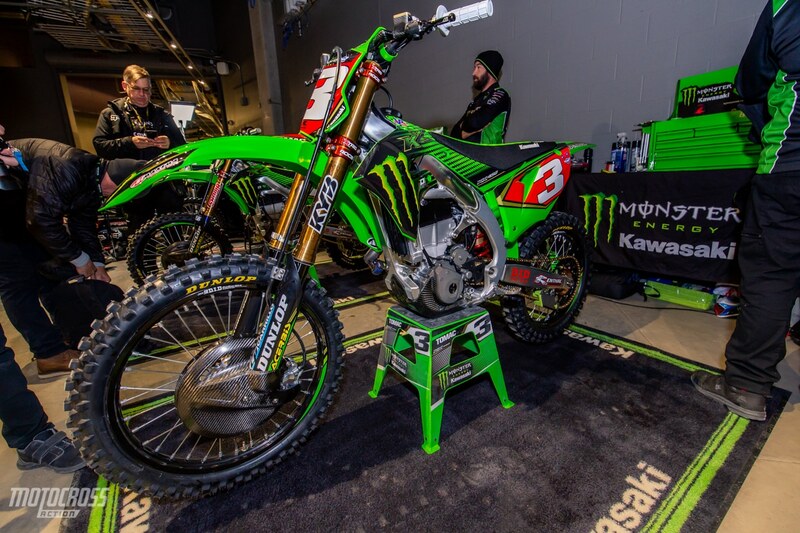 Lorenzo Locurcio’s Legend and Hero’s KMS Motorsports KX250. Alex Ray’s H.E.P. 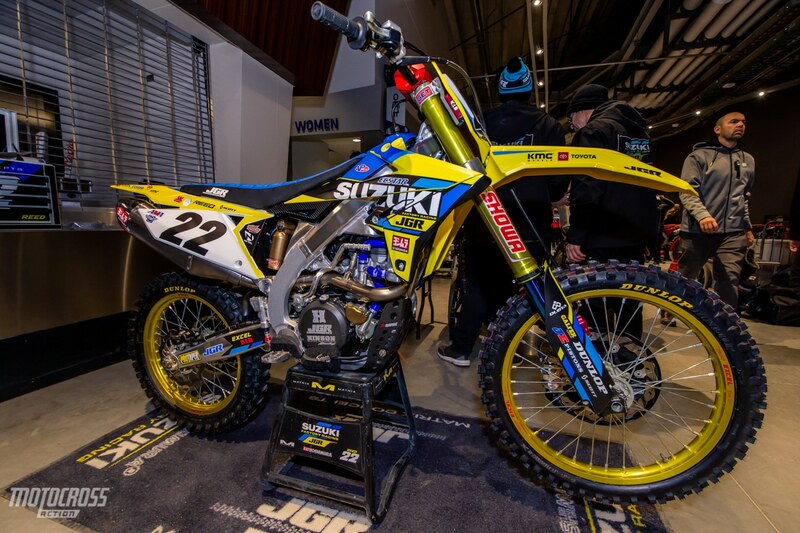 Motorsports Suzuki. 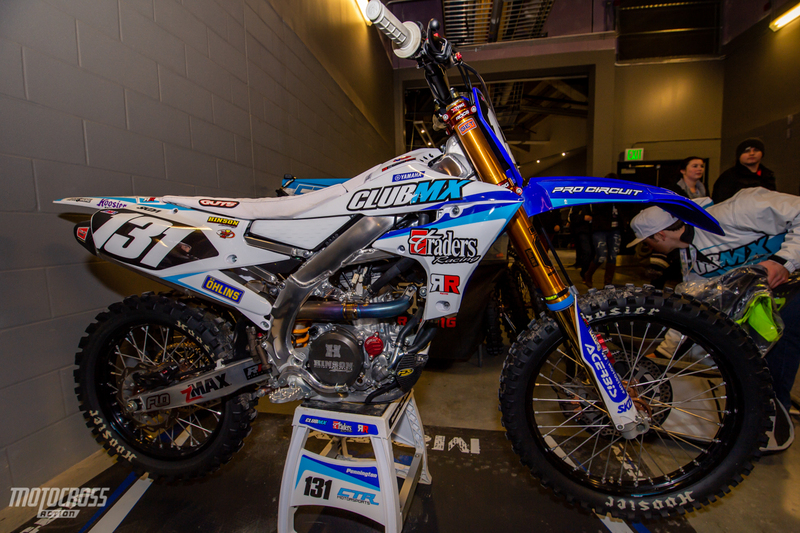 Joey Crown’s ClubMx Traders Redemption Motorsports Yamaha.